These are two maps that i made yesterday. One is of Argentina, chile and part of Brazil. The other one is of the Malvinas Islands. In the argentine map you are the porteños and play whit the Patagonicos againts the chilenos and the brasileros. 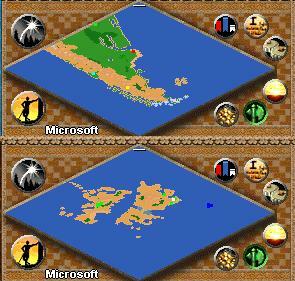 In the Malvinas map you are the argentinian soldiers and you will have to defeat an inglish army and find the villagers to make a camp, increase your army and defeat the inglish invasor. shouldn't this go in utilities? Great!!! Very good job boy!! amigo que no se le olvide poner los nombres de los paÃ­ses en mayÃºsculas, gramÃ¡tica general. English and to ensure that all posts can be monitored for Code of Conduct-breaching content staff will have to be able to understand your post. I have edited your post to include such a translation.